Now, I’m sure we’re all read one article or another which tells us the classical music is the answer to all our problems. Whether it’s getting stuff done, getting up, going to sleep, improving your intelligence… the list goes ON. Well. What if you don’t like classical music? Does this mean you’re doomed to a life of unproductive, sleepless days? 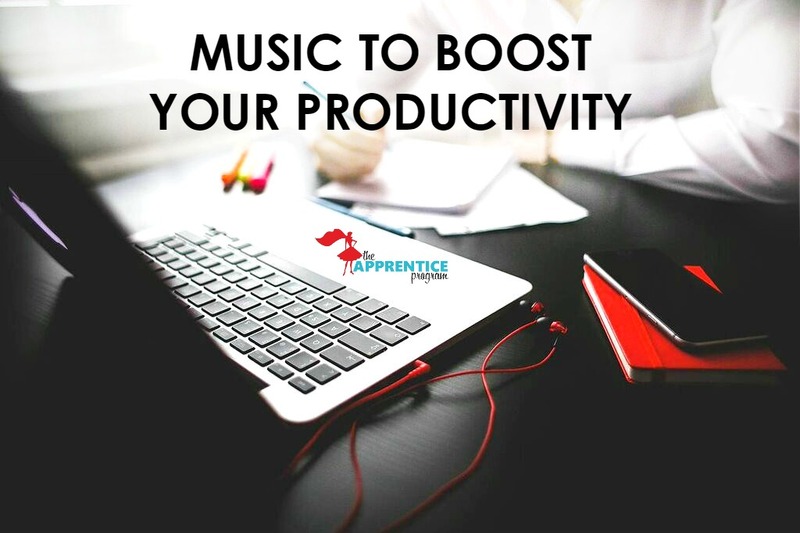 Researchers at The University of Birmingham in England found that all music is effective at raising efficiency of repetitive tasks. This means that if your day is filled with budgets and spreadsheets, you can listen to your fave tracks – whatever they may be! – without feeling guilty or like you’re getting sidetracked. To help you out, we’ve put together a playlist of our fave motivational tracks for when we’re feeling weighed down with monotonous tasks that just have to get done! Another top tip for improving productivity is making sure you have a structured training solution in place for your interns. The Apprentice Program raised over $12,000 thru our Kickstarter campaign, but don’t worry if you missed it! We’re now taking orders for Fall 2016, when we’ll have our brand new easy-to-use platform in place. Just $75/intern per semester for custom-crafted training, guaranteed to get your interns up to speed with the way your firm produces events.